Elana Katz, LCSW, LMFT, is a senior faculty member at the Ackerman Institute for the Family where she supervises in the advanced family therapy training program and directs the Family and Divorce Mediation Program. 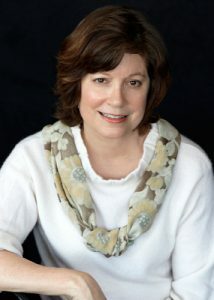 A member of the American Family Therapy Academy for more than twenty years, she has presented nationally and internationally on family therapy, mediation, and collaborative divorce coaching, including annual meetings of the American Family Therapy Academy, the American Association of Marriage and Family Therapists, The Psychotherapy Networker and the International Academy of Collaborative Professionals. Ms. Katz was one of the first therapists in New York to become certified in Emotionally Focused Therapy. Now a certified EFT therapist, supervisor and trainer, she teaches and supervises in a number of innovative EFT courses at Ackerman. Ms. Katz was previously on faculty at the Yale School of Medicine where she supervised psychiatry residents, co-directed a weekly seminar in family therapy, and consulted to research on family treatment for patients in the general hospital setting. She has published a number of articles and a book chapter on topics such as mediation and a family systems approach to health care, and has been quoted by the New York Times, the Associated Press, and other media outlets, including National Public Radio. Ms. Katz is active in professional organizations, currently serving on the Board of Directors of both the New York Association for Collaborative Professionals and the New York Center for Emotionally Focused Therapy. Her private practice in psychotherapy, mediation, and collaborative divorce coaching is in New York.